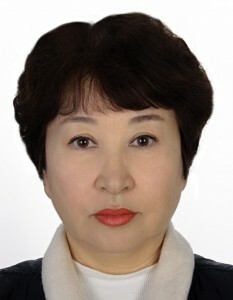 Nurpeisova (Shaekina) Saule Kuzembaevna – Candidate of Philology, Associate Professor of the Department of the Russian Language and Culture. Born in the Karaganda region. In 1973 she graduated from the Faculty of Philology of the Karaganda State University named after E.A. Buketova. She began her career as a teacher at school. Works at the department since 1993. 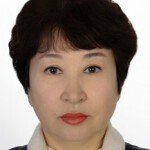 She was elected as a department chair, conducted Kazakh language courses for employees, was engaged in scientific work. In 2006 she defended her thesis on the topic: “Grammatical ways of expressing possessiveness in the Kazakh language: formation, use” by specialty February 10, 2002 – Kazakh language, and February 10, 2006 – Turkic languages. Published: scientific articles – 17, teaching aids – 2, co-authored – 2. Printed tutorial – 1 co-authored-1.